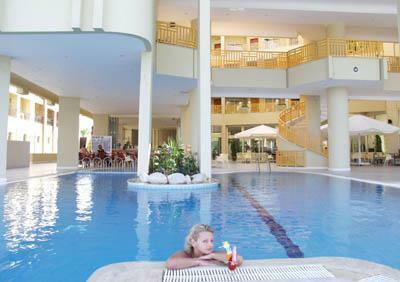 Situated directly in the resort centre Kemer. 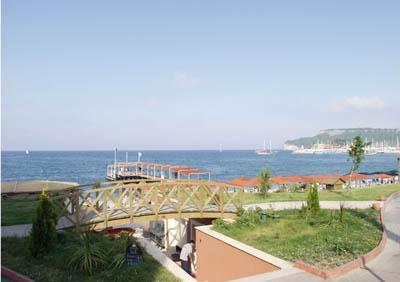 Located in front of the Kemer's harbor with an excellent view of the sparkling blue sea. 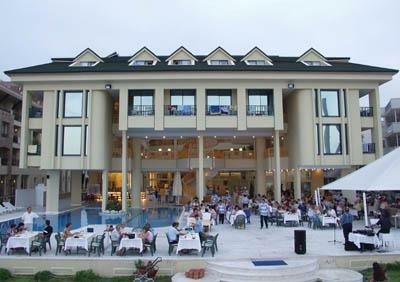 Located only 400m away from shopping area of Kemer. The airport of Antalya is just 55 km away. 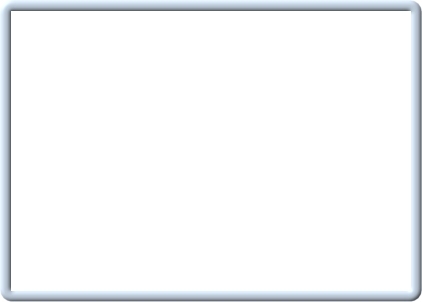 Reception * restaurant * 2 bars * outdoor swimming pool * children's pool. 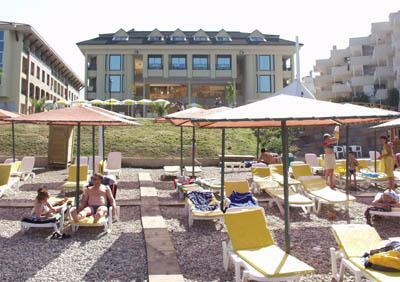 Turkish bath * sauna * fitness centre * Jacuzzi * entertainment programmes * table tennis * darts * live music (weekly) * backgammon. Drinks in the beach bar * water sports * baby-sitting * imported drinks * fresh fruit juices * wine in the bottles * massage * room service * steam bath * telephone * fax * laundry * mini bar * doctor * pinball * billiards * room service. Air-conditioning * satellite TV * telephone * hairdryer * carpet * minibar (water at the arrival inclusive, other drinks are payable locally) * safe box ( payable locally) * bathroom * balcony. Hotel is situated just on the pebbly beach (sun beds and umbrellas free of charge). Open buffet breakfast, lunch & dinner, coffee&cake.